Erin Fletter is passionate about getting kids to not just eat, but actually crave healthy, creative food! She has an extensive background in the food and wine industry and loves to use that experience to craft new Sticky Fingers recipes that bring together fresh ingredients, global flavors, math, geography, nutrition, food history—and a big dash of tasty fun. Erin also writes terrible jokes each week about food that make everyone groan. Erin's three energetic young daughters are her first round of taste testers and she is never reluctant to push their culinary boundaries. In fact, Erin so much enjoyed introducing her family to a wide variety of foods that she wanted other families to have the same opportunity through Sticky Fingers Cooking. 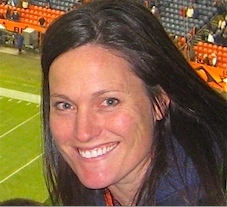 Erin grew up on the beaches of California and has lived in beautiful Colorado since 1996. Erin bought & transformed Sticky Fingers Cooking from a brick and mortar children’s cooking school to a 100% mobile cooking school in 2011. Sticky Fingers Cooking now has hundreds of cooking classes throughout Colorado, Illinois and beyond. 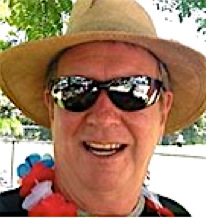 Joe brings his proven and savvy startup know-how and extensive experience in business development and marketing skills to Sticky Fingers Cooking. He played pivotal roles in widely varied start-ups in the Solar, Computer-Aided Design (CAD), Golf, Health and Wellness, and Plug-In Hybrid Electric Vehicle sectors. His very diverse startup experiences makes him passionate about cultivating more ‘cool’inary curiosity in kids to ever more communities by bringing the fabulously fun and truly tasty Sticky Fingers Cooking experience to many more young chefs. Did we also mention that Joe also a bit of a foodie himself, and makes a pretty mean San Francisco Seafood Cioppino and a very tasty Vietnamese Carmel Simmered Chicken dish. 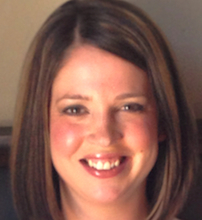 Amanda is a former pre-school teacher and Speech Pathologist who taught for the last 10 years. She is now a mom to three busy and happy kids of her own! She loves creating and cooking with natural foods and her newest hobby is aquaponics; raising her own fish and organic produce at HOME! Her love of working with kids combined with her passion for fun and natural foods led her to Sticky Fingers Cooking. 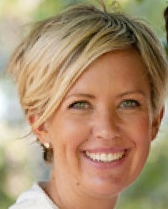 Amanda started as an instructor with Sticky Fingers Cooking and now helps manage Sticky Fingers Cooking’s “virtual office”, coordinates private cooking events+parties and maintains the database behind stickyfingerscooking.com scenes. Kimberly graduated from UCLA with a degree in International Development in 2010 and has since traveled across Europe, Southeast Asia and Central and South America! She has taught many after school enrichment classes for kids in both California and Colorado. 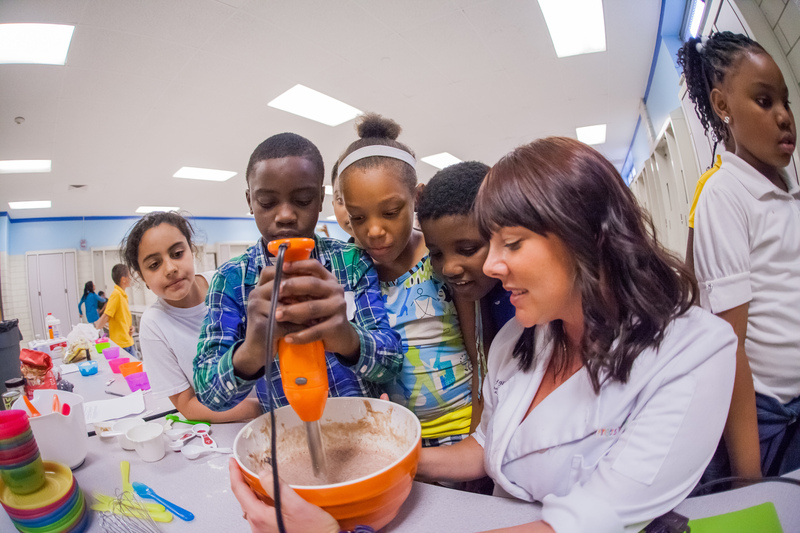 She moved to Denver in 2012 and was able to combine her passion for healthy cooking and working with kids via Sticky Fingers Cooking. Kimberly started out as an instructor for Sticky Fingers Cooking but has since transitioned to managing all our locations and partnerships in Colorado! In her free time, she loves to ski, camp, mountain bike, sew and of course, travel! Chef Hayley moved here from California in 2013 to experience the amazing beauty of the Rocky Mountains. Her focus in college was Experiential Education and Eastern Religions and Cultures. In California she worked in Southern California as a Director for a non-profit Experiential Education program as well as the Assistant of Educational Development for an after school program. As a result of these positions she has an extensive background working with various groups, organizations and ethnicities/cultures. She is trained in multiple classroom management styles and techniques and uses her skill set to increase the classroom awareness of the program. She loves storytelling and bringing forth the life and fun of the history of the food. Lauren Frontiera graduated with honors and received a degree in Business Administration with a minor in Entrepreneurship from the University of North Carolina at Greensboro. She studied abroad in Ireland and has since worked in marketing as well as in the kitchen! Lauren owned and operated her own granola business and also worked at a spectacular bakery in Arvada! She has taught many of our after school cooking classes and is now our head private party and birthday party planner extraordinaire! Marla has been an elementary educator for 17 years. She loves teaching kids and has a background in Art and in Second Language Learners. She has traveled extensively in Asia and has lived in Korea, Cambodia and Guatemala. She now lives in NW Denver with her husband and 3 children. Her favorite food is Indian cuisine because of the delicious tasting and smelling spices. Lucy Warenski, a Chicago native, was one of the first chefs for Sticky Fingers Cooking. While her background is in education, she is a certified Montessori teacher ages 3-6, her passion and zest for cooking was clear from the beginning. She loves to cook so much that she even started her own culinary business, Green Gourmet Cooking! While she loved living in Denver, and who wouldn’t, Lucy, her husband and 8 month-old-son have moved back to their hometown, Sweet Home Chicago! Lucy fell in love with Sticky Fingers Cooking: how it teaches children about food, expanding their palettes by chopping, stirring and tasting the DELICIOUS recipes on a weekly bases and doing it all while having a great time. She has been one of our most dedicated and enthusiastic chefs, so much so that she is helping us expand all the way in Chicago! Lucy’s is our lead Chef and contact in this wonderful and exciting expansion! Watch out Windy City, here comes Sticky Fingers Cooking and Lucy’s passion for teaching children about yummy food—your kids will LOVE it! Lucy’s superpower cooking skill: getting veggies into kids. She is always encouraging and somehow has a magic skill that gets those kids tasting, trying and eating their veg! Way to go! Lucy’s favorite food: as a personal chef, she commented she can’t just pick one (how typical) but she narrowed it down to: potatoes, lamb, salmon and pasta alla carbonara. YUMMY!!!! Our very wonderful Chef Richard Wilks graduated from Kansas State University with a Bachelors in Hotel and Restaurant Management with a minor in Business Administration. He absolutely loves food and all there is to know about it! Since college, he has worked as a head chef and sous chef in New York. Chef Richard cannot wait to share his love for cooking with fresh and healthy foods with your young chefs- your kids are in great company! 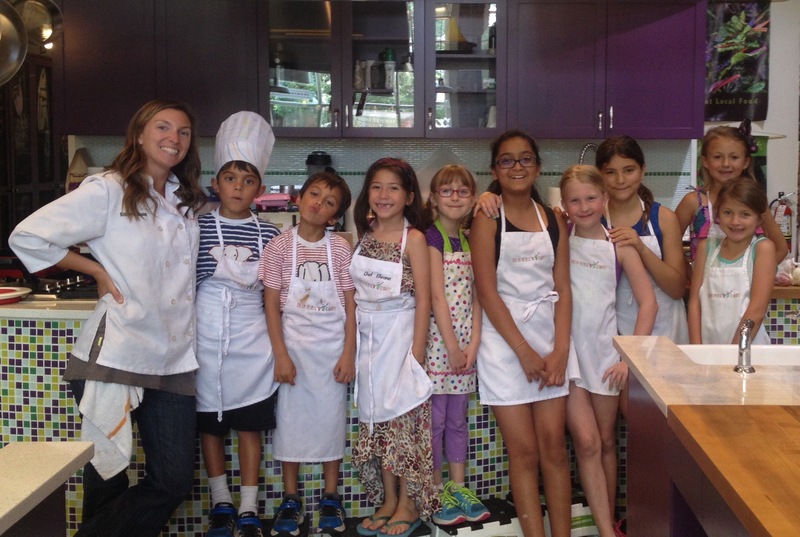 Chef Ariel Nierenberg spent the last year in Colorado having a blast cooking up some tasty, nutritious food with the young chefs of Sticky Fingers Cooking. Now she is living down in the food mecca of Austin, TX and can’t wait to bring Sticky Fingers to the families of Austin! Ariel has her Masters degree is Elementary Education and spent eight years in the Boston area, first teaching kids about healthy lifestyles as an elementary health teacher and then teaching 3rd grade. 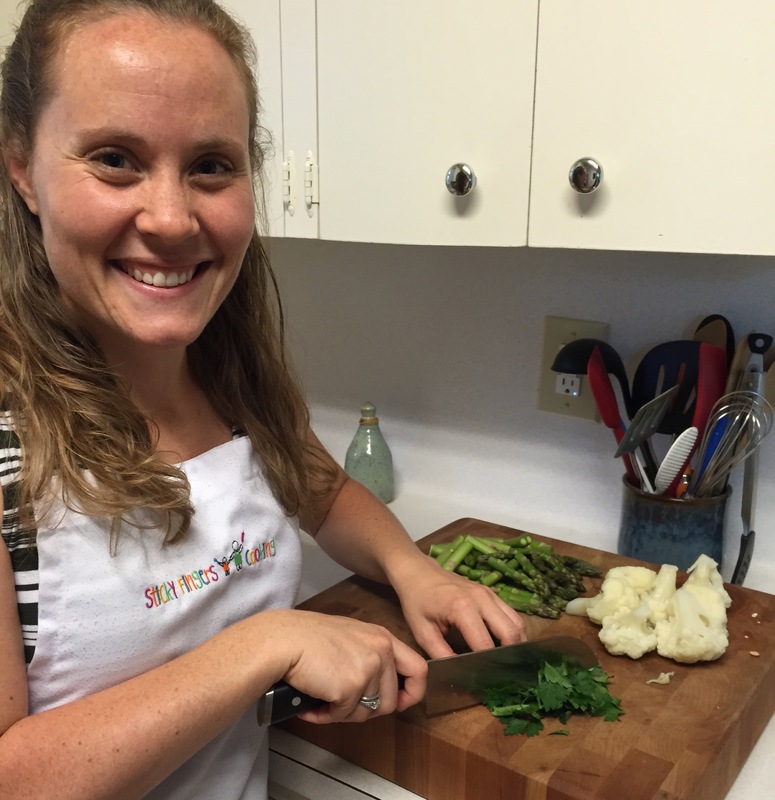 While living in Denver, she completed her certification as a Nutrition Therapy Practitioner through the Nutrition Therapy Institute and is currently working towards becoming a Master Nutrition Therapist. Chef Ariel loves helping others discover new skills and passions and can’t wait to share her enthusiasm for cooking and learning about healthy whole foods with the budding young chefs of Austin! If you could be any food what would you be and why? If I could be any food, I would be a wild blueberry (although nothing like Violet Beauregarde in Charlie and the Chocolate Factory!!). They are sweet and tiny, but bursting with flavor and nutrients! They also get to grow wild and spend most of their lives in beautiful places. Sounds good to me! What is your cooking superpower? My cooking superpower is being able to teach about how the food we cook and eat keeps us healthy! As a current student at the Nutrition Therapy Institute, I'm learning so much about how the foods we eat work to fuel our bodies and keep them in tip top condition. I love sharing this knowledge with Sticky Fingers students while we cook and enjoy healthy foods! Favorite food? Nothing better than a perfectly ripe avocado...creamy, delicious, full of healthy fats, and my favorite color...green! Favorite Sticky Fingers joke? Why did everyone want to hang out with the mushroom at the party? He was such a fun guy (fungi)! All of our Sticky Fingers trained chef instructors love the magical and creatively messy combination of children and cooking! We have Montessori school teachers, culinary school teachers, summer camp directors, catering chefs, personal chefs, and graduates from Le Cordon Bleu in Paris on our talented team of cooking instructors in Colorado, Illinois, Texas and Kansas! Christine is Sticky Fingers’ culinary whiz. She has been cooking on her own since she was six when she and her friend Heather would go into Heather’s kitchen and experiment, once whipping up peanut butter and raisin popsicles! Luckily, her skill has improved over the years, and her love of cooking prompted her to include her daughter Cleo in the kitchen from a very young age. Christine’s repertoire of Cleo-friendly recipes has grown rich, and Cleo now loves toting her stool around the kitchen so she can be right there in the thick of it! A self-proclaimed “foodie,” all things culinary are Christine’s true love. Watching other parents, grand-parents and care-givers spend time together in Sticky Fingers Cooking classes has cemented her belief that good food prepared with those you love is one of life’s most nurturing and nourishing opportunities. Sam is Sticky Fingers’ sustainability champion. After completing her MBA in corporate social responsibility, Sam developed environmentally preferable food and packaging policies for multinational restaurant companies. When her daughter Lilly was born, Sam realized how hard it was to live by her professional values – eating in a nutritious and environmentally responsible yet affordable way – at home. Whether she’d spent the day at work or with her daughter, Sam struggled to find time to plan and prepare meals that everyone would eat, and found herself relying on toys or the TV to keep Lilly occupied long enough for her to get supper on the table. One night when Lilly was two and underfoot during dinner preparation, she asked to sample raw onion – and loved it! Sam began to think that the answer to her nightly dinnertime challenge was not keeping Lilly out of the kitchen, but finding ways to invite her in to help. About this time, she met Angie and Christine, and together they began to develop Sticky Fingers Cooking. While continuing to cherish time in the kitchen with Lilly and the students in Sticky Fingers’ classes, Sam has also admitted to a secret love of spreadsheets. Whether hunting for recipes that include affordable ingredients or balancing the books at the end of the month, Sam is passionate about making sure Sticky Fingers techniques, recipes and suggestions for eating sustainably are practical for busy families. Angie is Sticky Fingers’ child development specialist. With a PhD in Psychology, and a research focus on childhood obesity, self-esteem development, and parent-child feeding styles, Angie understood the power that positive experiences with food can have on healthy self-esteem development in children. After completing her Ph.D. Angie thought she was officially finished with school! However, her life-long passion for learning, facilitating the development of positive self-images in children, and promoting nutritious food choices soon led her back to the classroom, but this time one filled with toddlers! Angie’s love of cooking began at home with her mom who often encouraged her to experiment in the kitchen and take pride in her culinary accomplishments. Angie’s earliest memory of cooking was whipping up her family’s Saturday morning pancake breakfast before the rest of the family awoke. Today, Angie wakes up to her husband and three year-old daughter, Mattiline, continuing this tradition. Never in her wildest imagination did Angie envision applying her Ph.D. to a cooking school for toddlers! But Angie’s skills in understanding children’s developmental needs and her passion for family pancake breakfasts all come together in this venture. Angie feels great about the memories she’s making with her own daughter, knowing that she’s positively influencing her family’s love of healthy eating, and is excited about the positive influence that Sticky Fingers Cooking has on the children and families it serves. In creating the curriculum for Sticky Fingers Cooking’s Parent-Tot classes, Angie injected a healthy dose of opportunity for creativity, imagination and self-expression by young chefs, while encouraging parents to throw caution to the wind and include their toddlers in meal preparation.